I walked away from a local Catholic parish rather disgruntled that the parish priest has decided to run the Alpha Course and I am quite sure that this stridently Protestant catechetical programme is being wheeled out in many Catholic parishes in the English speaking world. I wonder how it is that the Catholic Church could have dumbed down so much as to accept this course as material suitable for a Catholic or potentially Catholic audience. Why did the Fathers of the Church bother? Why was the Reformation resisted? Why do the Dominicans bother? To me it suggests that the 'great miracle' envisaged by Pope Francis of a no-questions answered, grand unification of various denominations with the Catholic Church, or a lady of ill-repute masquerading as the Catholic Church, is not terribly far off. The Catholic Church, having shed centuries of 'liturgical baggage' is probably just about ready to unload its 'doctrinal baggage' under Francis and do whatever is necessary or expedient to unite with the various Christian denominations under one fraternal roof of dialogue, but I expect that those Catholic priests who put on Alpha in good faith, seeking to inspire faith do it because 'it works for the Anglicans'. Priests should be made aware that Alpha has been successful only in creating more Protestants with few ties to bind them to a particular Church, denomination or 'ecclesial community'. Alpha might create more Christians but it won't create more Catholics. Nor will it provide Catholics with a deepening of their Catholic faith or identity. It will not teach Catholics to love the Mass. Content on the Sacraments is negligible. Catholic priests and bishops should be made aware that Alpha is designed from beginning to end to teach those who come to the course as enquirers that there is really no reason to be a Catholic or an Anglican or a Protestant Evangelical either and whatever floats your boat really...its all about you and Jesus (and the speaking in tongues gift-giving Holy Spirit) and that's really more or less it. The Church is those who believe in Christ and you can find that Salvation anywhere in any Christian community. That's why the Alpha course is run by Methodists, Anglicans, Evangelicals etc and now Catholics. This, however, is not the faith of the Catholic Church. It can be said, too, that this programme of catechesis on the 'essentials' of the Christian faith with a light garnish of Catholicism on the side is not being turned to by Catholic parishes because there is a dearth of catechetical resources in the Catholic world to promote the 'new evangelisation', nor is it implausible that such material can be taught using the successful meal, DVD, group discussion model that Alpha uses. In the UK, both 'Evangelium' and 'The WHY? Course' are very good DVD based overviews of the Catholic Faith that include very persuasive and sound apologetics with training material for lay leaders. I am sure it wouldn't take too long to find some very high quality US material also. There must be loads of Catholic material out there. However, we live in a time when love for the True Faith, the Faith of the One, Holy, Catholic and Apostolic Church and the Catholic Faith in general is not promoted at now very high levels of the Catholic Church and I expect that this informs a great deal of the Alpha promotion that is going on. Many priests don't see any problems with a stripped down, Protestantised theology. Indeed, the parish that is promoting it in my region had its Confessional box removed. Nothing replacing it has returned. The use of the bell at the Hanc Igitur and the Consecration have been stopped for no reason. Generally speaking, Catholic worship has become so protestantised even unto the imitation of Evangelical style 'praise and worship' that the Sacrifice of Calvary has become trivialised. 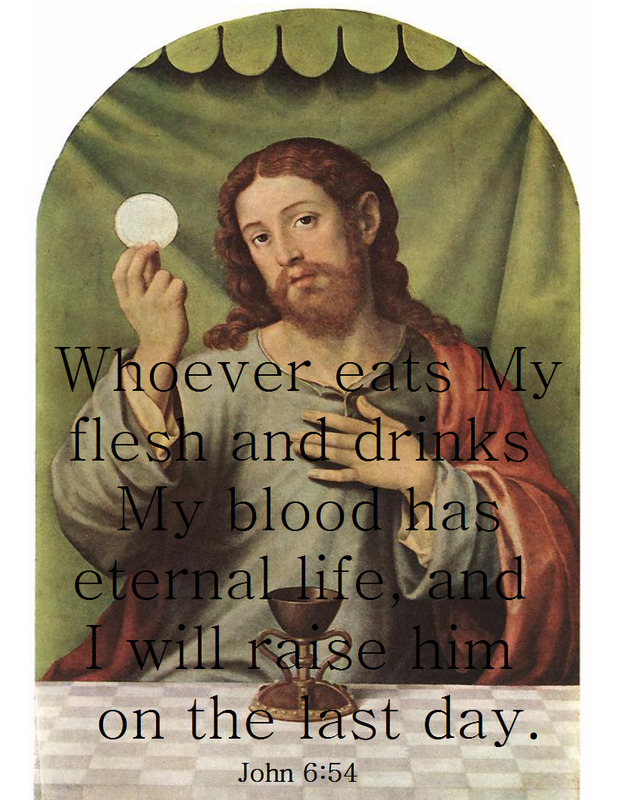 Extraordinary ministers of Holy Communion are utilised unneccessarily, Communion in the hand, standing, is the norm, much of the sacred nature of the Mass has been rejected across the World. All the average parish needs now is an Alpha course and the triumph of Protestantism will be nearly complete. The problem is that many bishops and many priests privately are very worried that Catholicism is in crisis in this country, which it certainly is. They cannot see any areas of growth in the Catholic Church, unless they are looking at an immigrant community who boost numbers in the pews and baptism figures. Presumably, they look at those things which record some kind of tangible success in other 'ecclesial communities' and think they can take good things from that and perhaps the results will be good for the Catholic Church. They need only look at figures in Latin America, however, to see that where Protestantism succeeds, it does so to the Catholic Church's detriment and despite the Catholic Church in Latin America having tried to imitate what Evangelicals and Pentecostals do, it seems to only have seen a compounding and consolidation of the loss of baptised Catholics to those other 'ecclesial communities', because once the Catholic Church apes those other communities, there is only as much reason to go to a Catholic Church as there is to those other communities. That is, as much reason, at best, but certainly not more. Let's face it, if you're into Christian worship music, those Pentecostals probably have superior sound systems anyway, because they have loads of money in the kitty. There seems to be a circular loop of destruction in process in as much as whenever the Catholic Church tries to ape other denominations, people see even less reason to be Catholic or remain Catholic. Yet this is common sense. Do bishops understand this? Do priests not see this? If what is on offer is the same as what is on offer in other denominations - and the message is more or less the same - 'the so called 'essentials of Christianity' - then why would we attract converts to the Catholic Church or retain those who are members of Her? Why consider the Catholic Church if its the same as the Methodist Church or the Baptist Church with a couple of additional things that 'we can discuss later in the course'? The justification for the Alpha Course seems to be that it explains in simple and reasonable terms the 'essentials' of the Christian faith. However, its employment by Catholic parishes is utterly confusing to me, because unless it is explained quickly why membership of the Catholic Church is essential - rather than an additional feature which you may wish to consider in Alpha Course meeting 11 (if, indeed, at all), then why bother considering the Catholic Church and why bother even doing the course in a Catholic Church? Catholic parishes who use Alpha are setting up a bizarre situation, a situation in which Christians who have done the Alpha Course and have realised, like I eventually did, that there must be one Church, one Church established by Christ wherein the fullness of Divine Revelation could be found, will go looking for that One Church having already wandered like a lost sheep around every denomination but the Catholic Church, only to find that the Catholic Church, instead of telling me I have come to the home that God has in His great mercy prepared for me, tells me that, in fact, that search is still ongoing, because the Catholic Church is too embarrassed of Her Lord and Her Faith to tell me that this is the One Church established by Christ for the Salvation of mankind, outside of which Salvation is, at the very least, unlikely, and that all those other ecclesial communities, despite the good that can be found within them, are deficient because they are not the Church founded by Jesus Christ. Anyway, on a lighter note, despite what Bear Grylls says in his advert for the Alpha Course, the curvature of the Earth cannot be seen at the summit of Mount Everest. It cannot be seen either at 121,000 feet. But I don't think either you, or I, are ready for that blogpost yet. Sounds like just another stupid, gimmicky program that people will use to make money off the "New Evangelization". Sadly it's not just 'the English speaking world.' The French Alpha course is actually supported by the French Bishops' Conference together with the French Protestant Federation. I understand why you have not named the parish concerned, but being local I am curious and saddened to find out that it has been adopted by a local Catholic parish. Does that mean that our Bishop approves of the course? I am in the Archdiocese of Atlanta, and my semi-Catholic parish has done away with ALL other programs and ministries and has adopted at the instance of the pastor, the "Alpha" program. He has the endorsement of Ab. Wilton Gregory. I feel as if I am trapped in an alien land, with no home. It was unsurprising, when it was presented with much fanfare and promotion, as this pastor has successfully removed the Tabernacle from the Sanctuary and placed it, and our Lord, in the back of the Nave. The image of the Blessed Mother has likewise been removed to the back of the Nave. The Crucifix at the front has no cross...a giant corpus of Jesus Christ hovering over a backlit representation of a cross. On either side of the altar are two tremendous projection screens that run trendy images and clever promotions before and after Mass. There are no missals, as all the protestant worship hits of the day have the words projected on the screens with flashy graphics moving behind them. Walking into the Nave before Mass is like walking into a large cocktail party, only louder. The dress ranges from flip flops, soccer shorts and t shirts to full blown french whore. Bells, incense, what's that? They would only interfere with the army of women parading around the Sanctuary anyway - why we need 16 "Eucharistic Ministers" and only one, largely unused confessional in a parish of 4,000 families is beyond my simple mind anyway. But forget all that, here is what Alpha means: flashy signs in the parking lot, walking into the vestibule of the church and being confronted with the smells of a high school cafeteria, and the hustle of food carts, sheet pans of brownies and very important and busy "Alpha aids" shuffling all over the place. There is NOTHING Catholic about it. I got eye rolls from the pastor when I told him I would be homeschooling my children and NOT enrolling them in the 'mandatory' Alpha for kids. His answer to me was along the lines of "don't be more Catholic than the Pope," to which I silently chuckled. Your article is SPOT ON. For any serious Catholic, Alpha is a disastrous heretical intrusion into the two thousand old fabric of our glorious faith. If you want worship in a megachurch, just go join one, and please let Catholics who actually want to be Catholic do so in peace. Alas, that's probably not part of the agenda for most bishops' conferences. A local parish that had previously promoted the Alfa program during lent some years ago is no longer hosting the Alfa Program. It seems to be replaced with the name "Community of Disciples program". I was wondering if anyone else has heard of this or attended these meetings. Just wondering what my fellow Catholics opinion is about this program. Just want to be sure I am not losing my mind. Deception is on the loose as far as I see. If I am incorrect please accept my sincere apology. May God grant me the grace to always follow His True Catholic Church. Below is a short description of the program on the parish site. Community of Disciples Faith Sharing groups of six or more participants meet during Lent to read, reflect and discuss the scripture readings for each upcoming Sunday’s Mass. Group leaders help to facilitate the discussion. Participants are free to share their faith reflections and experiences at their comfort level. The meetings last approximately 1½ hours, excluding any social time that the group decides upon. When – The Community of Disciples faith sharing sessions are scheduled to closely match parishioner requests, for each of the six weeks of Lent. Where – in volunteer parishioner host homes or in parish meeting rooms. Why should you consider participating? – Faith sharing offers the opportunity to: deepen your faith, strengthen yourself to live your faith while confronted with daily challenges, better prepare you for Sunday Mass, develop new friendships within our Church community. We have no power over such things, of course. I have come to the sad conclusion that it is impossible to maintain any organization if the heads of it are on auto-destruct. I remember "Renew" from the 80's. It's like in education circles, there's always a new "program". The siren call of the desperate-for-improvement-folks. I'm praying for divine intervention. It's all we've got left. Traditional liturgy with chant and ad orientem celebration. Educate the parishioners in orthodox Catholic teaching. Hands-on good works eg SVP, soup runs, etc. 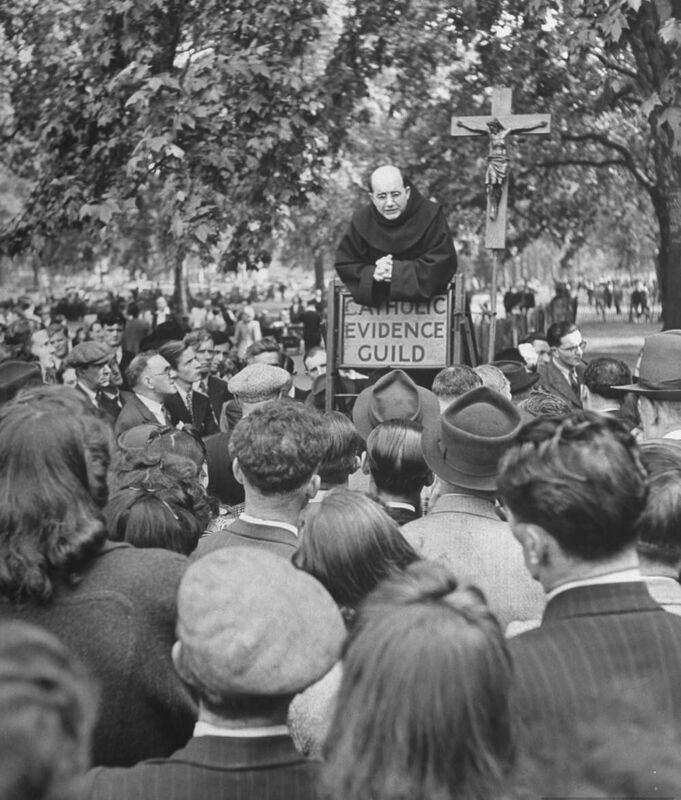 Evangelism outside the community - a revival of the Catholic Evidence Guild. Realistically, it is not going to happen. The liturgy is the foundation and there is too much resistance from those in charge and all the way down from there, including the majority of that proportion of the remaining laity. When Benedict became Pope, it looked as if the tide was going to turn. But now it seems like our swan song. Picture the dream scenario. Cardinal Burke or Cardinal Sarah become Pope; they in turn are followed by Bishop Schneider? How likely is that? And even if it happened, what real power would they have? What are we to conclude? Are we coming to the end of the 1300 year history of the Catholic church. Which leaves what? And, as the cannon fodder in the pews, what should our response be? Why is it always modernist types who drive the parish council program buying agenda? Makes me feel guilty for not being on the council. Annoyed we have to have one. A good shepherd will lead his flock and feed them sound doctrine. A good priest sometimes maybe grumpy and stubborn, but uncompromising serves a purpose, he doesn't play politics and he's well versed and he will be there, with tenderness, when you really need him. I've known a few of the oldies but goodies (even though I'm relatively young) and I have come to appreciate their rock solid faithful leadership. No nonsense types. By the way, Seamrog, your little story about your priest's answer... along the lines of "don't be more Catholic than the Pope," to which you 'silently chuckled'. That was gold. I laughed. The reason why we have a crisis in the Catholic Church is because our people have been primarily Sacramentalized, some have been Catechized, but very few have actually been Evangelized. Most Catholics don't know the difference between being Catechized and Evangelized. The author of this article reveals his own lack of understanding of this distinction in his misplaced critique of Alpha in a Catholic Context. Through out his article he confuses Catechesis for Evangelization. They are not the same. Further, spending time, money and effort at Catholic Catechesis without first focusing on primary Evangelization is a massive waste of resources. How do we know? Because most of the parish's resources go into Catechesis without primary Evangelization and we are are losing about 70% of our young people on an annual basis. It. Is. A. Massive. Failure. Contrary to the misleading title of this essay, it is NOT catechesis program. It is a primary Evangelization program. Evangelization is focused on the person of Jesus Christ, the kerygma and leading a person to what the Church calls "the first and fundamental conversion." That is it. Until a person comes to the first and fundamental conversion, Catechesis is a waste of resources becasue there is no inner transformation to drive the process of discipleship, discovery and learning that Catechesis is all about. Alpha is very effective in the process of primary Evangelization. Jesus is at the center of both Catholicism and Reformed streams of Christianity. Alpha is focused on making Jesus the center of every person who goes through it, the question of Why Be Catholic? Follows from personal conversion to Christ. Truth be known, Catholics being involved with Alpha will cause many Protestants involved in that ministry to eventually come into the fullness of the Catholic faith. Why? Because they are meeting Catholics who know Jesus AND know their faith, AND live the Sacramental life to the full. At the end of the day, this is about covenantal realism. Most Catholics have not fully entered the New Covenant with Jesus because of the break down of Evangelization and Catechesis (and the effort to do Catechesis without Evangelization). Respectfully, if you love our faith, don't attack Alpha, but rather see the fruit of what it is doing for example at Our Lady of Good Counsel in Plymouth MI. Alpha: a course to be avoided. Catholics emerge from it with their false faith reinforced! By Alan Franklin. Kathleen mentions the 'Renew' programme from the 80s. I had completely forgotten about that though I am sure my parish introduced it at the time. However I remember absolutely nothing about it at all - except the name. I wonder what the point of it was. I do love Physiocrat's dream scenario of Cardinals Burke or Sarah becoming Pope followed by Bishop Schneider. Now that would be absolutely wonderful and well worth hanging on for. We can but dream. Which are the false components of the Catholic faith? Obviously not the components which it has in common with whatever branch of Christianity you hold to be 100% true? And if it is the Papacy you are objecting to then there are always Constantinople, Antioch, Moscow and a few others who don't go along with it either, and you might follow them. But then again what is your interpretation of Matthew 16:18. The author fumed pungently yet I can find no meat in his complaints. Perhaps the author could persuade by giving examples we readers could examine for ourselves instead of telling us what to think. The Alpha course is not Catholic and does not aim to be. It is generically Protestant - something like the "Mere Christianity" of C S Lewis. Catholics need to offer their own courses focussed on the sacramental system shared with the Orthodox and which is specific to us. This raises a further point, which is that Catholic liturgy has been so thoroughly protestantised that it is often hardly recognisable as Catholic, which in turn has protestantised the faith itself. If you have not noticed then that indicates the extent to which you have been affected. If you want to experience Catholic worship today and re-Catholicise yourself you need to attend, over an extended period, one of the few parishes which offers traditional Catholic worship, or to go to an Orthodox (Greek/Russian/Serbian) church if you are fortunate enough to have one in your area. It is a different religion. P.S. Sorry Bones, forgot to say, suburb article by the way. Catholics truly need to be warned of the dangers of Alpha and I wish more faithful Catholic sites would do so . I have just heard from a friend who was received into the Church at Easter that he has already been approached to join both the Alpha course and Acta. I shall refer him to your post! Just looked up on Wikipedia 'The Toronto Blessing' as mentioned by Chris from London. Never heard of it before. The mind boggles. If that is an integral part of the course I would not touch it with a barge pole. The Alpha course is essentially a simplified, reductionist, slickly-marketed version of fundamentalist protestantism. Its materials are tightly-controlled and disseminated by its founders, so a 'Catholic version' of Alpha is by definition a non sequitur. Alpha claims to give 'the basic Christian message' (itself also a dubiously protestant definition, for its simplistic personal theory of assured salvation is contradicted by Our Lord Himself in the Gospels, as well as by the Early Fathers). Yet in its exaggerated attempts to reproduce the physical and psychological healing properties of the Holy Spirit, it wanders ever further into the dubious realms of the rather creepy charismatic movement. Most dangerous seems to me the entirely artificial and false distinction between evangelisation and catechesis, which has no place in Catholic teaching. It is a typical of an underlying modernism, a cringingly deferential ecumenical indifferentism, and a neglect of Catholic tradition and the deposit of faith and moral teaching that have increasingly threatened the Church since the late 1960s, and even more directly and severely since March 2013. This online study by a Catholic writer (Gillian van der Lande)explores Alpha's dangers very well. If Alpha creates more Christians, isn't that a good thing? I thought that Catholics are supposed to be Christians first. It is about us and Jesus. I wish more Catholics would be aware of this. It is not a Protestant thing. It is a Christian thing. Just because we get a better understanding of New Testament Christianity doesn't mean that we become Protestants. Catholics should not be proud of having an identity separate from this. Paul scolds the Corinthians for being divided. He says "Now this I say, that every one of you saith, I am of Paul; and I of Apollos; and I of Cephas; and I of Christ. Is Christ divided? was Paul crucified for you? or were ye baptized in the name of Paul?" (1Corinthians 1:12-13). Maybe preserving a Catholic identity should not be our highest priority. Catholicism is indeed about us and Jesus ie it is about a relationship. The church has spent centuries trying to understand the nature of that relationship. It has frequently had to respond when people have led others astray with misguided teachings which can be harmful to them; bizarre and damaging cults have arisen even in the past few decades. Preserving authentic Catholic teaching is a primary function of the Catholic church and should be of the highest priority. Scripture and tradition go together. Authentic Catholicism focusses on both. Alpha does not 'create more Christians' - as I have already pointed out, it reduces and distorts the nature of the Christian faith. That does not give anyone a better understanding of the New Testament, of which the sole exegetical guardian is the Catholic magisterium, the visible Church being 'so immensely important and central...because it is primarily the means whereby the revealed truth of Almighty God is communicated to us,' to quote the late, great Msgr. Gilbey. The Catholic Church *is* the only valid Christian ecclesia, and we assert our belief in the Holy Catholic Church explicitly in the Creed. The Holy Catholic Church does not include those ecclesial communities who deliberately reject or ignore Catholic teaching. And in turn, any baptised Catholic who cannot say truthfully and wholeheartedly 'Credo in unam sanctam Catholicam et Apostolicam ecclesiam' is not a full member of the Church. No amount of politeness can gloss over this simple, basic truth. The hierarchy has its job to do in preserving Christianity, but it is not an entirely top-down thing. The individual Christian can also contribute to tradition. Vatican II states in Dei Verbum 8: "This tradition which comes from the Apostles develop in the Church with the help of the Holy Spirit. (5) For there is a growth in the understanding of the realities and the words which have been handed down. This happens through the contemplation and study made by believers, who treasure these things in their hearts (see Luke, 2:19, 51) through a penetrating understanding of the spiritual realities which they experience, and through the preaching of those who have received through episcopal succession the sure gift of truth". Dei Verbum 21 states: "Therefore, like the Christian religion itself, all the preaching of the Church must be nourished and regulated by Sacred Scripture". All of us need to be nourished and regulated by Sacred Scripture in order to be contributers to tradition. In order for this to happen, our own personal consciences and discernment also play a part in this. "and through the preaching of those who have received through episcopal succession the sure gift of truth". That obedience to the Magisterium of Ages - from the Fathers to the present day - is a 'sine qua non'. The Alpha Course is entirely oblivious of the essential teaching role of the visible Church. The belief that every reader of the Word of God can believe whatever his 'personal conscience' tells him to, and reinterpret according to personal and entirely self-guided 'discernment' is as wrong today as it was in 1517. Personal conscience has a role in everything that we believe according to Vatican II. "On their part, all men are bound to seek the truth, especially in what concerns God and His Church, and to embrace the truth they come to know, and to hold fast to it. This Vatican Council likewise professes its belief that it is upon the human conscience that these obligations fall and exert their binding force. The truth cannot impose itself except by virtue of its own truth, as it makes its entrance into the mind at once quietly and with power." (Dignitatis Humanae 1). "It is in accordance with their dignity as persons-that is, beings endowed with reason and free will and therefore privileged to bear personal responsibility-that all men should be at once impelled by nature and also bound by a moral obligation to seek the truth, especially religious truth. They are also bound to adhere to the truth, once it is known, and to order their whole lives in accord with the demands of truth However, men cannot discharge these obligations in a manner in keeping with their own nature unless they enjoy immunity from external coercion as well as psychological freedom." (Dignitatis Humanae 2). The Council was here addressing the large number who do *not* believe, while insisting that even non-believers should use the conscience (that God implanted in 'all men') to seek the truth - which Catholics believe resides in the visible Church. Yet as Dei Verbum (the document relevant to scripture) makes clear: for any member of the Catholic Church, 'seeking the truth' does not mean having a licence to interpret Scripture contrary to the interpretation of the Church, or according to a personal whim, but (as Dei Verbum says) "through a penetrating understanding of the spiritual realities which they experience, *and* through the preaching of those who have received through episcopal succession the sure gift of truth". The latter is an essential condition for any faithful Catholic. It has nothing to do with 'coercion' or 'psychological freedom'. To ignore the scriptural teaching of the Church and think one knows better than the magisterium, is to fall into grave error. Anyone who drifts off into his or her own personal interpretation of the Bible on the pretext that a document about Religious Freedom tells non-believers they are duty-bound to follow their God-given consciences and seek religious truth, is definitely confusing apples with plutonium. Yours is one interpretation. Like so many V2 documents, it is possible to argue for ever about what it means, and that is before establishing what is meant by "Catholic". The latter question has been the subject of dispute since long before the Reformation. Not a few Christians take the view that the followers of the Pope of Rome are as much heretics as followers of the Pope of Alexandria. Cutting through that argument is like finding a path through a jungle. When Vatican II speaks of human conscience, I believe that it is describing the way that we humans take in outside information, including objective truth. It is not an alternative to objective truth. This is true of Scripture, whether we hear it at the mass, or whether we read it in the Bible itself. It was compiled by the Catholic Church in the fourth century, and is now readily available for us to read directly if we want to. It is all Catholic teaching. In all cases, human conscience is involved in assimilating it. You are at odds with John Vasc on this point. However, your interpretation collapses the claims of the Catholic Church itself,in particular, since the claim of the Roman Pontiff to be the successor to Peter and assume a monarchical role within the hierarchy depends on a particular interpretation of Matthew 16:18. You bring up an interesting point of how monarchial the Church is supposed to be. Saint Paul, in 2Corinthians 1:24 says: "Not for that we have dominion over your faith, but are helpers of your joy: for by faith ye stand". 1Peter 5:3 says to the elders: "Neither as being lords over God's heritage, but being ensamples to the flock". We ourselves are supposed to be vigilant and discerning of what we are presented with. 1John 4:1 says: "Beloved, believe not every spirit, but try the spirits whether they are of God: because many false prophets are gone out into the world". Why are you quoting from the KJB in this day and age? Physiocrat: Being a successor of Saint Peter doesn't necessarily mean that the pope needs to be a monarch. It has been viewed that way, but it may not be true. Physiocrat: I use the KJV because of the reference books associated with it. I can go to the Lexicon and find the Hebrew or Greek word behind the English word. I have found this to be handy. 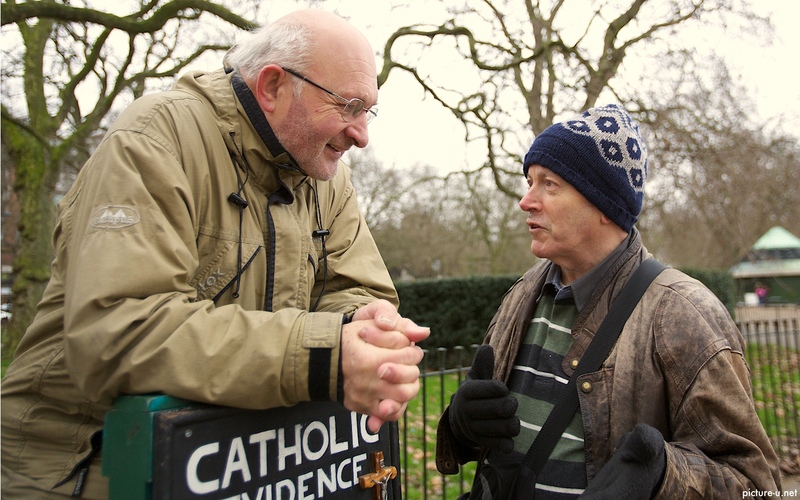 Why has your parish priest even considered introducing the Alpha course? Why doesn't he begin by teaching from the Catechism of the Catholic Church as promulgated by Pope John Paul in 1990? I have a copy of the 1990 edition together with earlier Catholic catechisms, all of which are clear and comprehensive. The hierarchy in England should be leading the faithful in the basics of Catholic teaching, without the need to resort to Alpha. A dear lady of my acquaintance, born in 1914, was converted at age 18, before the Second World War, through the Oratory fathers in Birmingham. In her long life she reconciled many lapsed Catholics to the Church through her humility and joyfulness as well as her profound love of Catholic theology. Newman's Apologia Vita Sua was one of her treasured books along with the spiritual works of Ronald Knox, Evelyn Waugh, Maisie Ward, Meriol Tevor, Frank Sheed, Belloc and Chesterton. She attended public debates between Belloc and Bernard Shaw, and talked in person to Chesterton. She heard Father Ronald Knox and Father D'Arcy address meetings in pre-war Birmingham together with the Catholic Evidence Guild. But first and foremost in life was her daily attendance at Mass, her receiving of the Eucharist, her reading of her Catholic Missal, and her daily recital of the Rosary for the conversion of souls. Always in her prayer life and conversation she commended the example of the Saints. The Saints bore their crosses and fought with temptation as must we, she said. The Catholic hierarchy should be encouraging priests to instruct the young in the lives of the Saints. Do priests preach on Patrick of Ireland, Columba, Kentigern (or Mungo), Cuthbert, Jerome, Benedict, Bernard of Clairvaux, Catherine of Sienna, Thomas Aquinas, Ignatius Loyola, Martin de Sales, Francis Xavier, Teresa of Avila, John of the Cross, Vincent de Paul, Philip Neri, Alphonsus de Liguori, Jeanne Jugan, Therese of Lisieux, Bernadette of Lourdes, Gemma Galgani, Margaret Sinclair, Teresa Benedicta of the Cross (Edith Stein)? In my experience young people are fascinated by lives such as these. In these evil times they need role models; as you rightly say, they don't need 'dumbing down'. When John Ogilvie was being burned at the stake in Glasgow Cross, he flung his Rosary into the crowd; it was caught by a Calvinist who later converted to Catholicism. A true story I like to tell my Calvinist friends. History has many such inspiring stories. Catholics need to hear about them. My late father left me with several pamphlets published by the Catholic Truth Society including a pre-War booklet, written by a Jesuit, on the troubling figure of John Knox. I have many of his old Catholic Book Club editions. In his parish church in Glasgow in the 1950s, my father was an active member of the Men's Sacred Heart and the Vincent de Paul Society. Why haven't the Catholic hierarchy encouraged the Sacred Heart movement? Why haven't they encouraged the Women's Legion of Mary in every parish? My friend from Birmingham was cut off from her family after converting from Anglicanism to Roman Catholicism. But her mother and father and her brothers all followed her to Rome years later. I thought of her last night while reading 'A Priest in Changing Times' by Father Michael O'Carroll (Columba Press, Dublin, 1998). Father Michael dedicated his wide-ranging memoirs (he knew almost everyone in the Catholic world) to the Feast of the Immaculate Conception of the Blessed Virgin Mary. I recommend his book to all your readers. It can be ordered on the internet. Thank you for printing my comment. Father Michael O'Carroll can he seen on YouTube. See: 'Vassula 1996 - Introduction 1 by Theologian Fr. Michael O'Carroll'. At the end of his homily Father Michael brings in St. Augustine. A good moment for me to recommend the recent biography of Augustine by Robin Lane Fox, published by Penguin. A scholar and agnostic, Mr Lane Fox is scrupulously fair. One reviewer said the evocation of Augustine's world is 'almost Proustian' in its richness of detail. I liked the chapter on Augustine's deliverance from the Manichean cult, and the way in which his mother had been praying for his conversion. There is a feature film on Augustine's life, also on YouTube.